Bijli Mahadev is one of the spiritual temples of the Indian state of Himachal Pradesh. 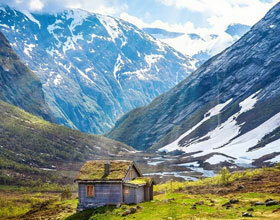 It is located at an altitude of about 2,460 m in the Kullu Valley. Bijli Mahadev is just one of the ancient temples in India. Situated 22 km from Kullu throughout the Beas River, it can be approached by a rewarding trek of 3 km. A breathtaking sight of Kullu and Paravati valleys can be seen from the temple. The 60 feet high team of Bijli Mahadev temple sparkles like a silver needle in the sun. In this temple of lightning, it is said that the high staff draws in the magnificent blessings in the type of lightning. It is thought that the clergyman of the temple has to recover the Shiva linga put inside the temple making use of butter as well as sattoo after every lightning as it shatters to pieces with flash of lightning. The best time to visit to Kullu is during the summer months. The Bijli Mahadev temple remains closed during the extreme winter season because of snow and also rainfall. Ideally, you can plan a visit from March to September. 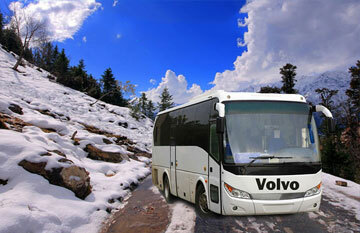 From Kullu, you can make use of the bus services to reach the Bijli Mahadev temple. The bus will certainly drop you off at Chansari village. From there you can climb up the stairways for a range of concerning 3kms to reach your location. 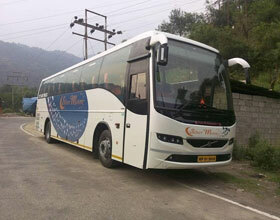 You can additionally make use of the taxi services in the Kullu taxi stand. 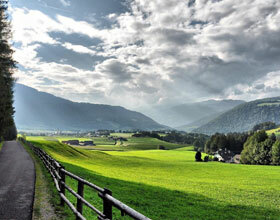 If you are even more of the adventurous kind, you can also stroll completely from Kullu itself. If the weather condition is pleasurable, the journey deserves the while. The trek to the temple covers an area filled with thick deodar growth. If you love greenery and want to spend some time in the lap of Mother Nature, a visit to this temple is compulsory. The view from the top of the temple is splendid. 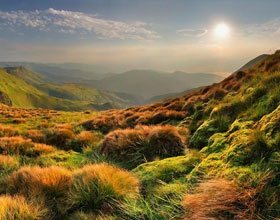 This attracts photographers who are keen on capturing the beauty of the surroundings. There are many well decorated cafes in the area. You can have sumptuous food along with spending some quality time with your family and dear ones. The trek to the Bijli Mahadev temple can be the perfect start if you are new to the world of mountains and trekking.